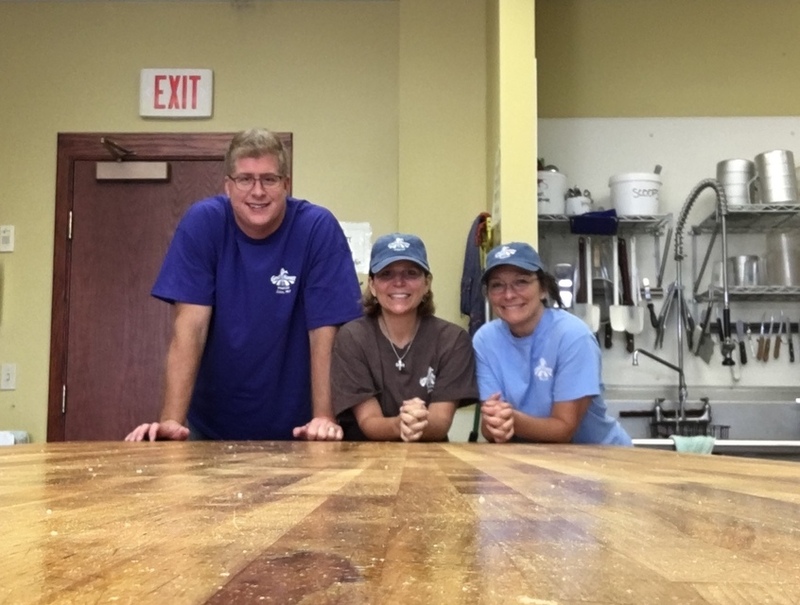 Kim Kiser, of Loganville, along with Rob and Traci Browne, of Monroe, brought the Great Harvest Bread Company to the city of Loganville, GA, in the spring of 2017. We long believed Loganville deserved a truly healthy source for breads, sandwiches, soups, desserts, and all sorts of fresh baked products. We also believed that while those products would delight your stomach, our service and smiles would warm your heart. The Great Harvest Bread Company may have been new to the east side of Atlanta but for more than 30 years now they have been milling grain daily, baking fresh bread, and promoting the health all of us want to have. That is the kind of culture we want to see grow and multiply in Loganville and Great Harvest is just the company to accelerate that process. Kim and Traci spent more than a decade each in the home education circles of Walton County teaching both their own and many other young people in the area. You know they started this a heart for education and for feeding the mind, soul, spirit, and body of those they influence. The bakery allowed them to take those passions and gifts and share them with the larger audience that is Loganville…and beyond! For 25 years, Rob worked in the international non-profit industry building teams to serve, encourage, train, and impact in long lasting ways the youth of nations around the world. With that passion for building teams and creating a culture of service excellence, he has invested in the people who work with us and who are our customers assisting them as they grow as team members in our business, guests of our bakery, and leaders in their world. We believe the opening of Great Harvest Bread Company in Loganville is truly a game changer for good. We are excited to be here and look forward to meeting you, giving you a free slice (seriously! ), and sharing with you the joy of friendship and of great bread.